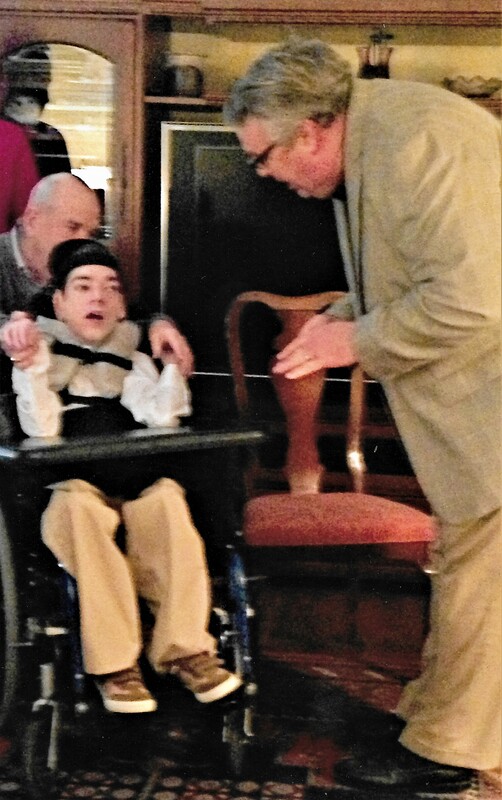 On Monday, I conducted a funeral service for a 43 year old man, Brian Booth, whom I’d known for 25 years. He had never spoken a single word to me, only responding with eye signals and laughs and sounds. 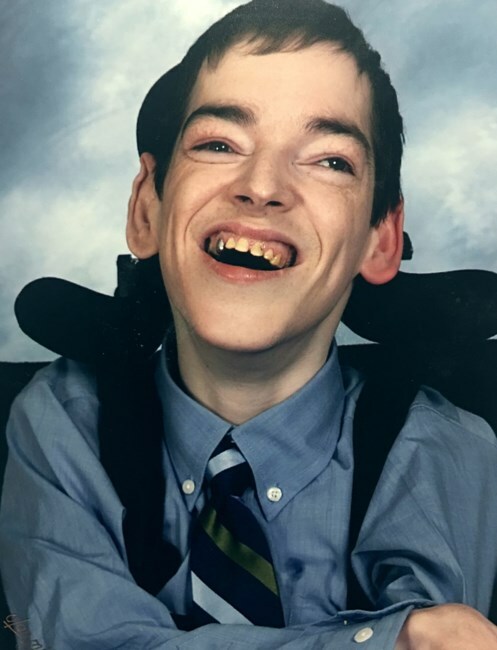 Brian lived with cerebral palsy, profound in its limitations. His father shared a story about him. Brian had a wonderful nurse for a number of years who was originally from Jamaica. Joan was one of those people that Brian would welcome with that beaming dimpled smile. Joan provided Brian with such incredible loving care and he was so appreciative. She would sit in the floor so she would be on his level, and talk to him about all sorts of things. He sincerely enjoyed hearing about other peoples’ trials and travails…so much so that he would laugh out loud when Joan would tell him about things that weren’t going just right. She always said that his laugh would make her forget anything that wasn’t going as expected. She would go home and share Brian’s ministry of laugh with her sister. If things were going off the tracks for her sister, Joan would simple tell her “you need to go see Brian”. The differently abled and their families have so much to teach us. As a part of that service, I wrote and shared the following. Yes, Brian was once a little boy. Brian, on the day of his baptism in 2013.Yes, Brian was a little boy. But not forever. He became a man. From knowing that—but he had a quick mind. Rapid eyes followed all that passed by. even if it wasn’t like yours and mine. Show your Lord such honor? He had his preferences, like everyone. About a man in a purple dinosaur suit hit Brian wrong. But of all the things of earth, the bad was a very short list. or being critical, complaining and unhappy? And what reasons do I have for my hurried ingratitude? Life is gift, but to know it while you live it? That’s pure grace. He did. He caused so much love, beyond mere pity. Yes and No with his eyes would do for ordinary things. to have been here at all. But waves and waves of love and the ache of its departure.. He was here. Jesus loved him. And he knew it. That should be enough for any of us. The rest is for show.